John: I can’t find my laptop. I hope I didn’t lose it or get it stolen. Eli: Oh yeah! I forgot to tell you, Kazu borrowed your laptop this morning. He said he would have it back to you before class. His broke and he had to find a way to take notes in class. John: He’s such a turkey! He can’t just take things without asking. I have early class today. He clearly didn’t think about that. Eli: That’s a bit harsh. I don’t think Kazu was trying to upset you. John: Who’s the turkey that suggested he do that? Eli: I guess that would be me. Sorry dude. 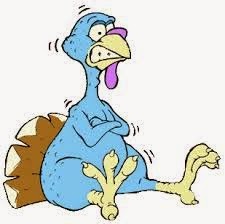 Meaning: To be a turkey is an expression used when someone is trying to call someone thoughtless or even a fool. It’s not a nice thing to say, but it’s used commonly to avoid using stronger or more profane language. Frank: I’m thinking about quitting fast food. Aaron: That’s really good. It’s really unhealthy to eat fried food every day. Frank: Yeah, I’m going cold turkey. No transition period. Aaron: Wow! That’s difficult. I usually cut some foods slowly. I can’t give up food I like all at once. 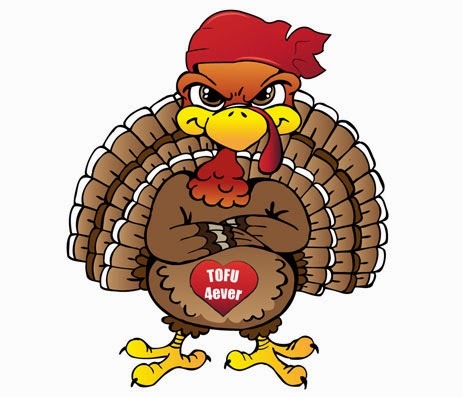 Meaning: Go cold turkey is an expression used when someone stops doing something without a transition period. It’s a very sudden stop to an action or habit.